Ask your parents what they think about being served by a robot in a restaurant, cuddling a fennec fox in a cafe and enjoying a Hello Kitty-themed spa after a Hello Kitty-themed meal. Chances are, they will think you are out of your mind. But hey, it is year 2017 and all these fantasies are actually now made possible in the capital of Thailand. From Japanese Hajime Robot Restaurant, Asia’s very first fox cafe Little Zoo Cafe, Sanrio Hello Kitty House to The Rome Restaurant, here are 15 Best Themed Cafes In Bangkok that you have to check out during your next trip. Escape the maddening chaos of Bangkok and escape into a fantasty realm at Chocolate Ville. Do not let its name fool you – this ain’t a Chocolate Factory! Instead, it is a gorgeous restaurant housed in a European-style park. Get your cameras ready, because you will want to snap this ethereal setting. As its name implies, Hajime Robot Restaurant will have you served by robots. There are two life-size waiters at this restaurant and they will serve you food, clear your trays and even dance for you. This unique experience is certainly not to be missed. It’s Halloween every day at Kaethy The Witch. The cafe is decked out in spooky decors and the food served here are simultaneously cute and eerie. 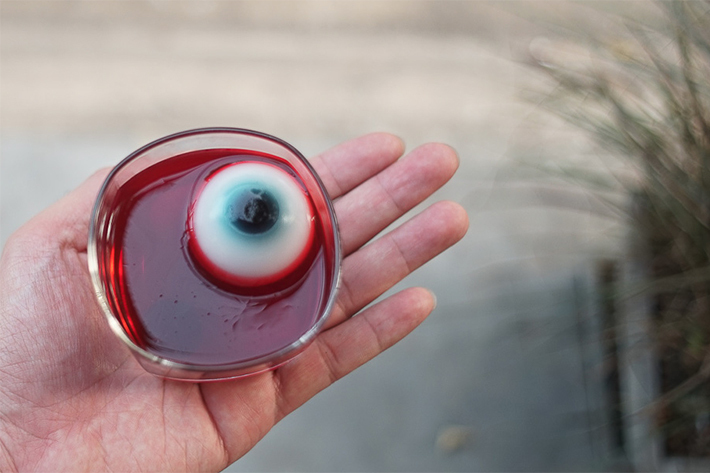 How does an Eyeball Jello and Spider Cupcake sound? Little Zoo Cafe is Asia’s very first fox cafe. 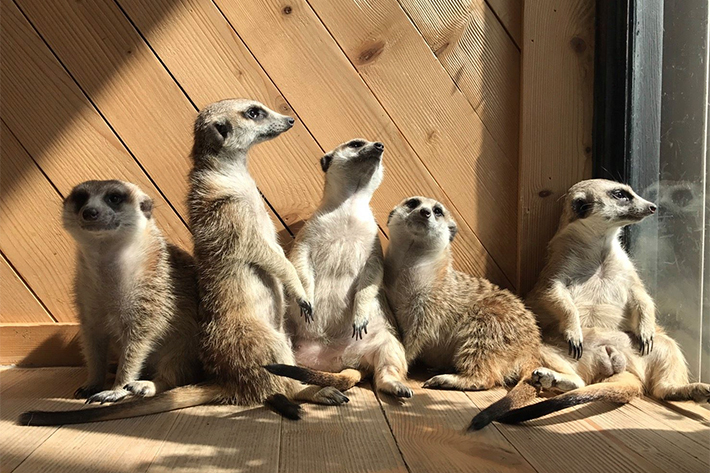 Over here, you get to come upclose and personal with exotic animals such as fennec foxes, meerkats and racoons! This is a dream come true for animal lovers. Maidcafe Maidreamin hails from Japan and the concept will teleport you back into your toddler days – yup, you will be treated like one here. Young women dressed in cosplay will serve you exceptionally cute dishes and force you to mimic their actions. Most reported a great time albeit the confusion on what exactly is actually happening. Most of us grew up watching the hilarious British sitcom Mr. Bean and now there is a full-fledge restaurant dedicated to fans. In fact, there are three outlets across Bangkok today! Pose with the iconic red London telephone box and devour an English Breakfast. Mr. Jones’ Orphanage is certainly a glorified impression of what an orphanage is. The sheer number of teddy bears, splendid selection of cakes and a gigantic wooden clock looming over – this is a wonderland located right in Siam Center! Set foot into Perhaps Rabbits and you will find yourself in the setting of Alice In Wonderland. Think abnormally small chairs and poker card themed desserts. Stop suppressing the child-like wonder in you andl let your imagination run wild! We are pretty certain that a trip Rabbito’ Cafe could brighten almost anyone’s day. We mean, just look at how adorable these bunnies are?! It’s so fluffy, I’m gonna die. Play with these cute rabbits whilst having a meal – no, you’re not going to be served rabbit meat. 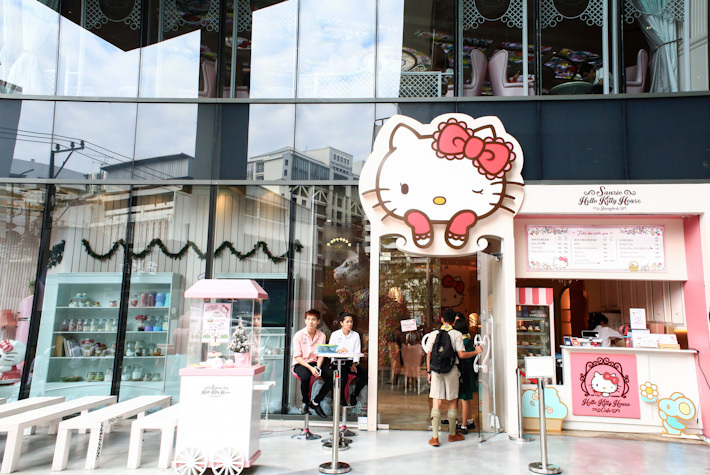 Located within Siam Square One, Bangkok’s Sanrio Hello Kitty House is a multi-concept destination that will make all Hello Kitty fans go weak in their knees. The compound comprises a Hello Kitty Cafe, Hello Kitty Shop and even a Hello Kitty Spa. Yep, for real. Sheep Village is not a true-blue village, but a man-made attraction instead. There is a Duch-style windmill, a mini farm area with real sheeps, waddling ducks and an inviting al-fresco dining area boasting vies of Chao Phraya River. We take our hats off to the Thais. Bangkok is home to so many wonderful creations and The Rome Restaurant is another new addition not to be missed. The Roman-themed restaurant is incredibly spacious and you can dine under the stars whilst gazing at an artifical Colosseum. True Love Cafe is the exceptionally popular Husky Cafe that many Singaporeans frequent. Approximately 17 huskies live here and you will be allowed to play with them. Each admission ticket (350 baht) includes a complimentary beverage and cake. Watch our video of True Love Cafe here. Unicorn Cafe is way over the top with its colourful decorations – and that is exactly what the hype is about. The wall, ceiling, pillar, floor are splashed in rainbow pastels. Cuddle with a unicorn plushie whilst indulging in unicorn-themed food and drinks. 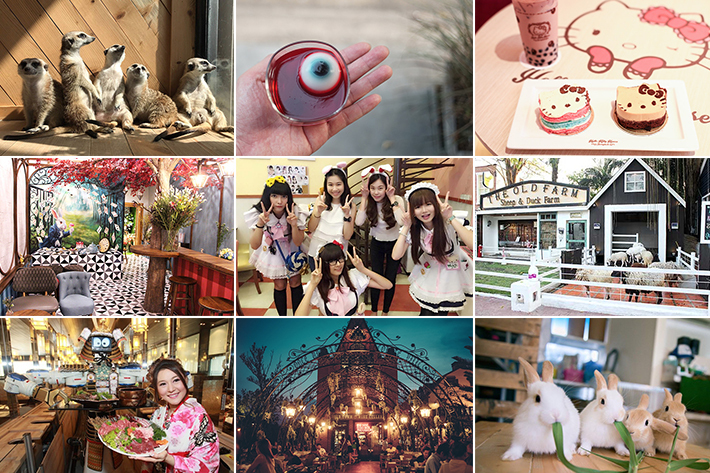 Watch our video of Unicorn Cafe in Bangkok here. Villa de Bear is a Thai-fusion restaurant that resembles an European-style teddy bear factory. Yes, by now you would have noticed that the Thais seriously dig all things European. Do take note that Villa de Bear accepts no reservations and is especially packed on weekends. For more recommendations, read our guide on 28 Best Bangkok Cafes.